Summer is time for tending the garden and picking delicious summer vegetables. From July into September, the warm temperatures move watering and fertilizing high on the list of priorities. Don’t forget to stop and smell the roses — and maybe cut a few for grandma’s vase! 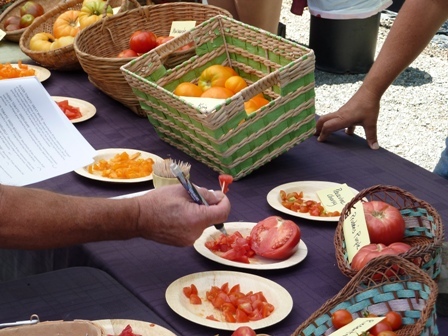 Check out these seasonal articles followed by our summer gardening calendar. Feed Veggies … more flowers means more fruit! 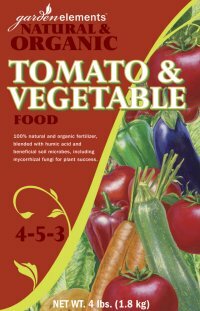 So don’t forget to feed your tomatoes, peppers, squash and more with a Tomato & Vegetable Food or Bloom Fertilizer throughout the summer. 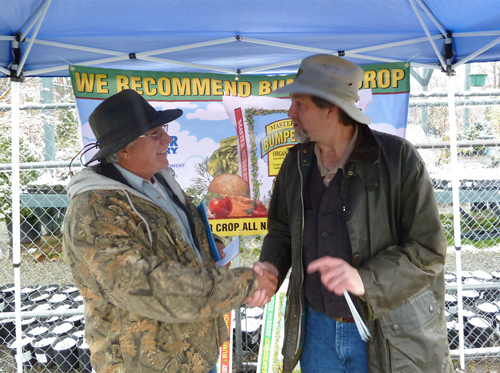 We have organic and traditional fertilizers in a variety of sizes. Water … everything! Pots and hanging baskets dry out especially fast during hot weather and could even require watering twice a day. 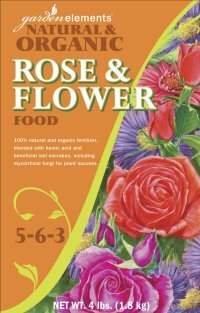 Feed Roses … with a Rose & Flower Food to encourage healthy cane growth, strong bud development and beautiful blossoms this season. 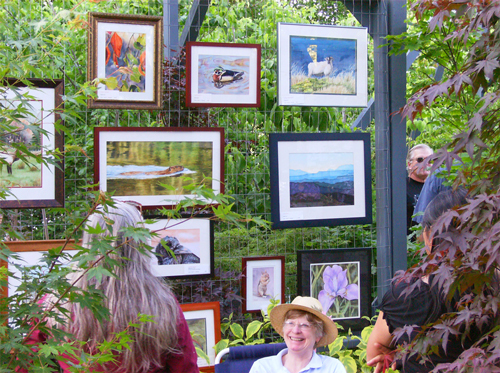 Plant Perennials … during the cool mornings or evenings, out of the heat of the summer sun. Water the new plants in with RootMaster B1 and make sure to continue to water new plantings well throughout the summer. Feed Evergreens … with a balanced, all-purpose fertilizer for healthier trees and shrubs. 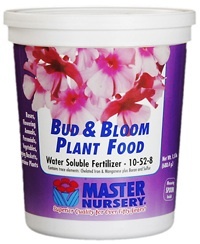 We recommend Master Nursery’s Formula-49 — which includes fast and slow release nitrogen and many trace nutrients our plant need — or one of our blended organic fertilizers that come in a variety of sizes. Cut Flowers … blossoms look great in the garden, but don’t forget to arrange some in vase — they’ll look wonderful in your house, too. This will even encourage more blossoms on your repeat-bloomers! 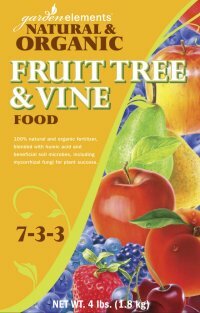 Feed those Fruit Trees … with a blended Fruit Tree Food – your trees will reward you with a tasty harvest! Trap Yellow Jackets … hang your traps away from your outdoor entertaining areas to draw these pests away. Make sure to change your attractant regularly for the best results. 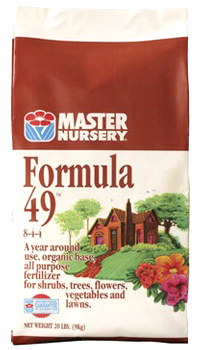 Give Perennials a Boost … they love organically-based Master Nursery’s Formula-49, too — or one of our organic general-purpose blends. Green-up Hungry Lawns … with a well-balance Lawn Fertilizer to produce a rich green lawn with a sturdy root system. We carry both organic and traditional blends in a size perfect for your lawn. 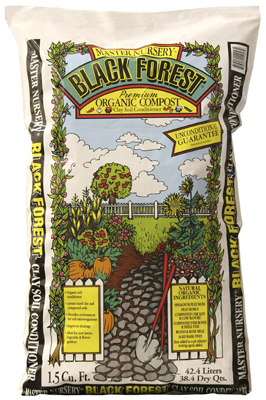 Mulch Perennials and Shrubs … try Black Forest Compost — a premium, organic, long-lasting blend of redwood and fir bark, fortified with nitrogen and iron — or Cocoa Hulls — smells like chocolate! Both are attractive and help keep weeds down and moisture in — saving you time in the garden this summer. Dead-head … all your flowering plants to encourage more summer blossoms. Promote More Flowers… with one of our Bloom Fertilizers! We have a great selection of organic and traditional, liquid and granular, fast-acting and slow release. Let us help you pick the right ones for your flowers.